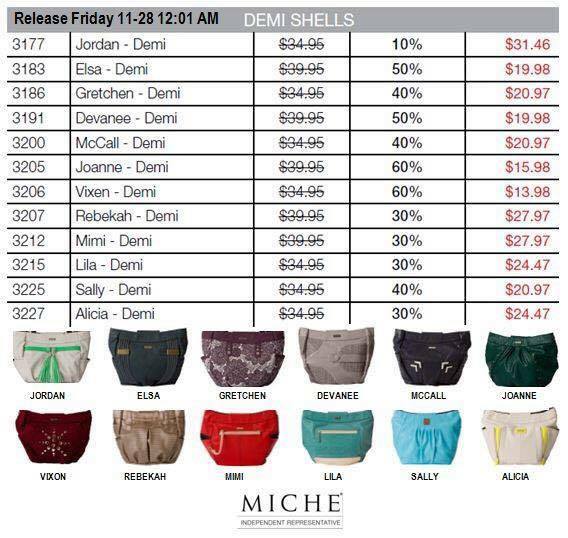 Miche THROWBACK THURSDAY–ADRIANNA MICHE PRIMA only $12.50!! Don’t miss out! Va-va-va-vroom! 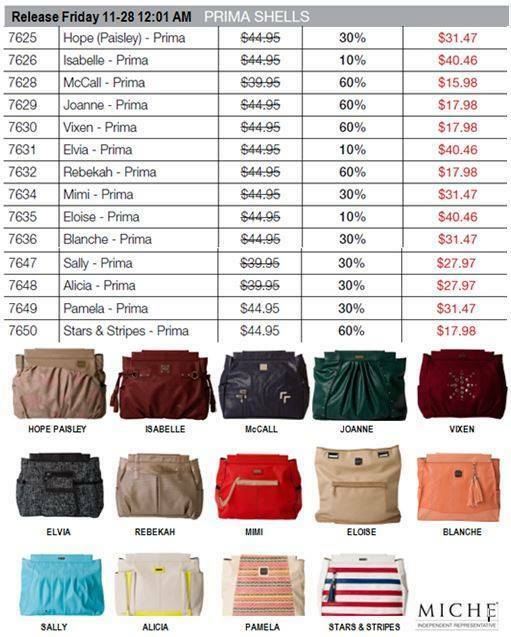 All systems are GO with the high-octane color, glossy finish and modern styling of the Adrianna Shell for Prima Bags. 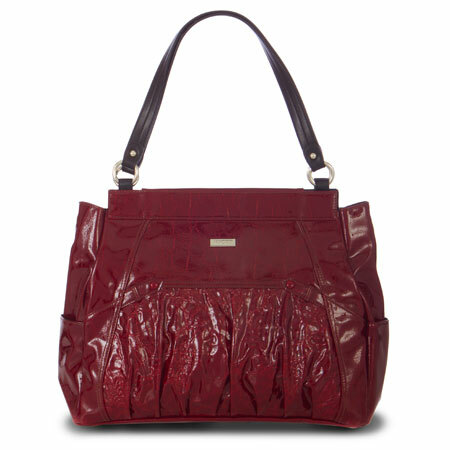 You will absolutely fall in love with this Shell’s dual-textured printed faux leather, matching rivets and rocket-powered deep red color. Roomy side pockets and subtle faux belt front detailing give Adrianna even more sizzle! Base bag and handles not included. 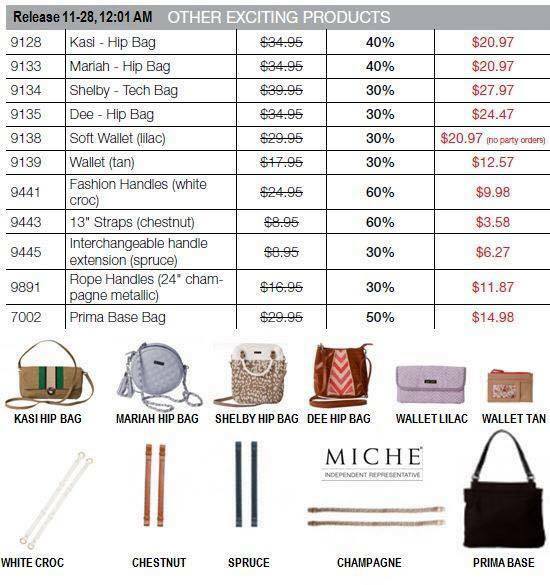 Order online on my website CLICK HERE to order! 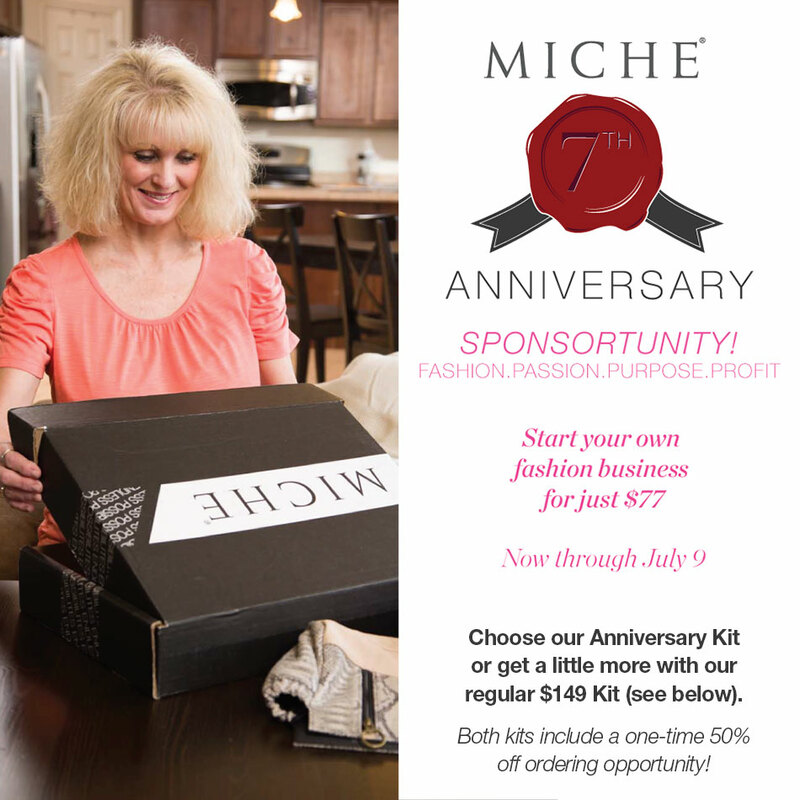 Offer through 8-15-14 at 8am MT….. don’t miss out!! No problem! 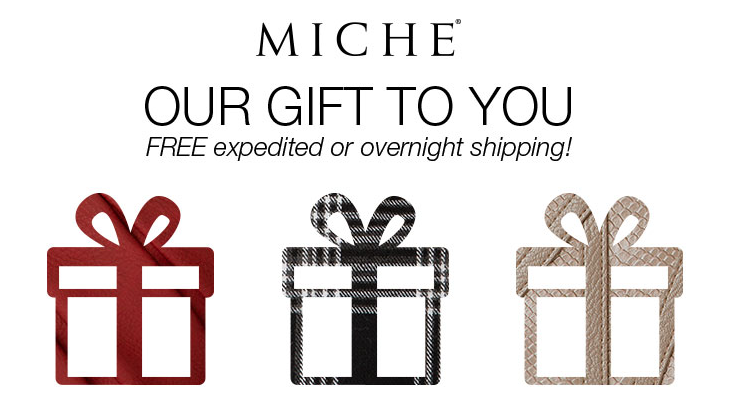 When you shop December 13–20, Santa’s Elves at the Miche warehouse will do everything they can to ensure Christmas delivery. 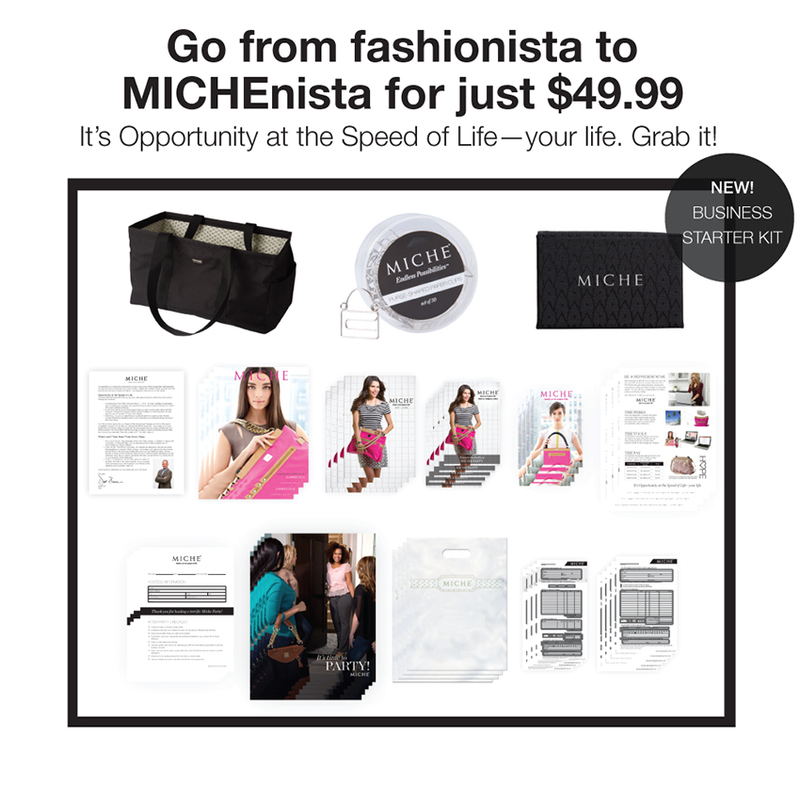 You just pay Ground Shipping— if your order requires Expedited Shipping or even Overnight services, Miche will make up the difference. * WHEN ORDERING, ORDER GROUND SHIPPING — the lower rate. 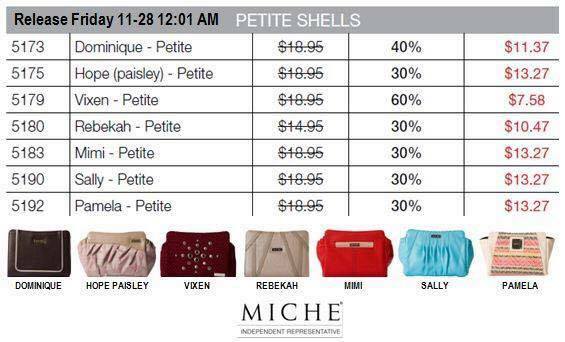 Miche will adjust and expedite at no cost to you!! 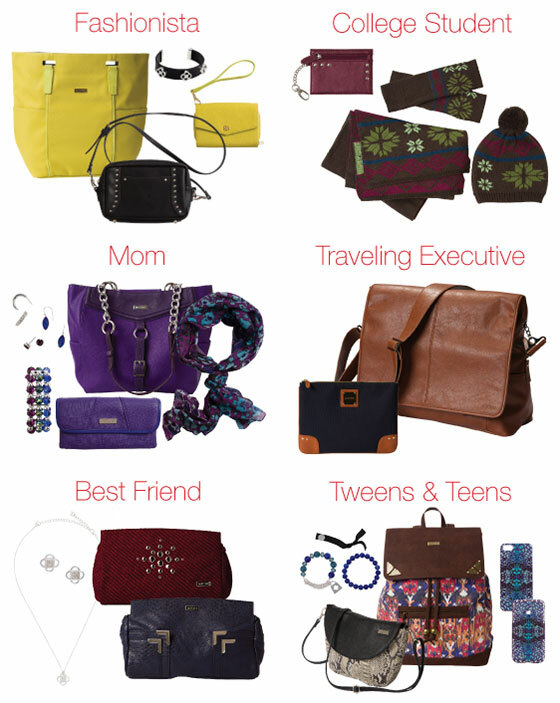 It’s our gift to YOU this holiday season. But hurry! 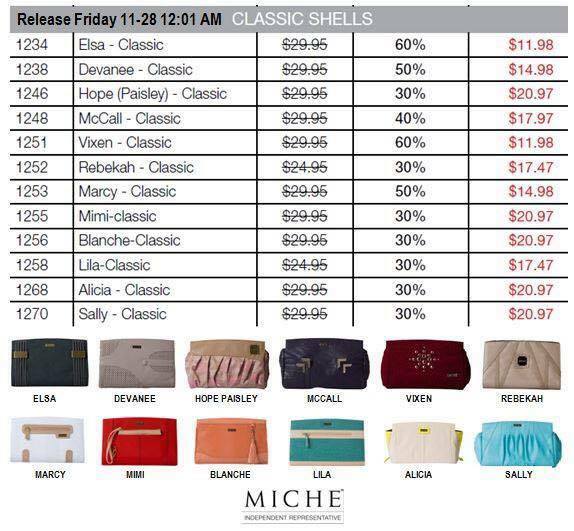 All orders MUST be submitted no later than 11 am Mountain Time on Friday, December 20. 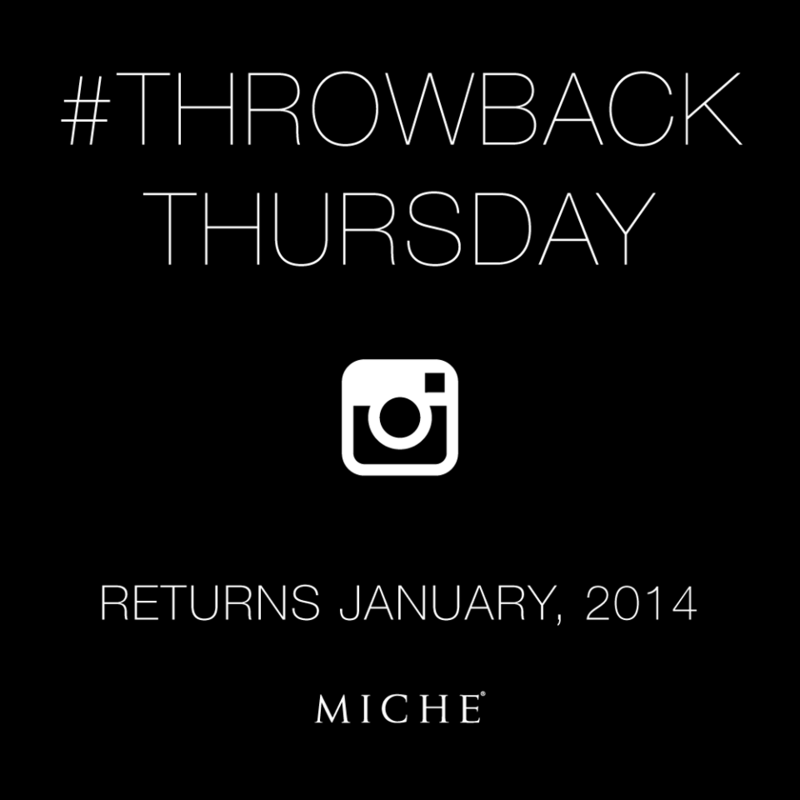 *please note…..although adverse weather conditions can affect delivery — Miche will do everything they can on their end to ensure that your package is prepared and ready to ship in time for the holidays. Please try to order prior to the deadline for extra time! 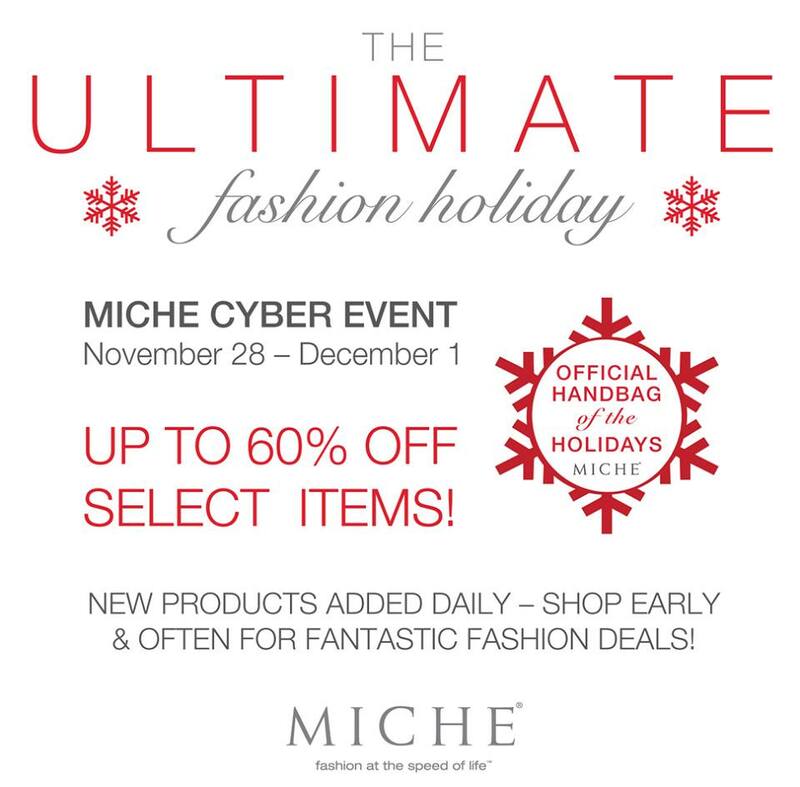 CLICK HERE to finish your Miche holiday shopping!! !